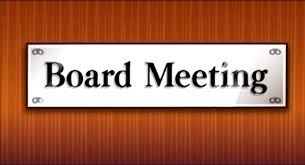 The ISD Board of Trustees will hold its regular monthly meeting on Thursday 7 May, 2015 starting at 6.00 pm, in the ISD Board room. ISD Board meetings are open to all ISD parents and faculty, who may attend as observers. Below is the Agenda for next Thursday’s meeting. Board Officers for the 2015-2016 school year will be elected by trustees in Executive session. Opportunity for non-Board member to address Board if requested.